New York City has joined a growing number of cities and states that allow people to choose a gender-neutral marker on their birth certificates. Beginning on Jan. 1, anyone who was born in New York City has the ability to have the gender marker on their birth certificate changed to X, rather than simply male (M) or female (F), and are able to do so without a doctor’s note or medical assessment. New York City Mayor Bill de Blasio signed the measure into law on Tuesday, marking a milestone in a years-long battle for advocates. “To all trans and non-binary New Yorkers: We see you, hear you and respect you. Starting in 2019, all New Yorkers will be able to change their gender on their birth certificate to M, F or X — without a doctor’s note,” the mayor’s office tweeted. Rice said that the fact that no doctor’s note is required is important and represents more than just eliminating an extra step in the process. 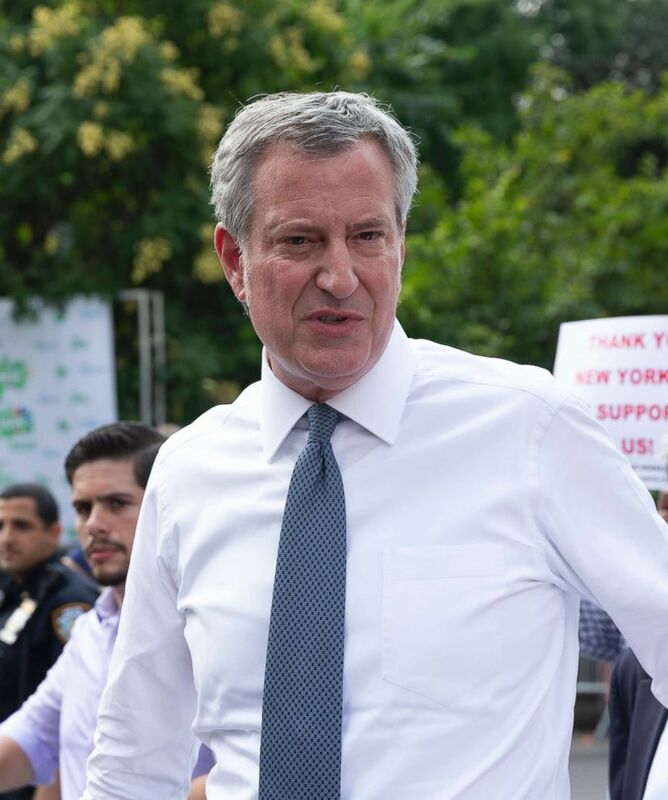 Mayor Bill de Blasio attends a rally in New York City, Aug. 9, 2018. The New York City law doesn’t allow parents to select X at birth, but they will have the ability to change the gender marker on the certificate any time before the child is 18 years old, Rice explained. People over the age of 18 have the ability to make the change themselves. While Rice said he believes New York City “is at the forefront” of the issue, gender-neutral identifiers are not available state-wide yet, meaning that while someone may be able to change their gender marker on their birth certificate, the same is not yet true of their New York state driver’s license. According to the National Center for Transgender Equality’s ID Documents Center, there are currently seven states and jurisdictions that have gender-neutral drivers’ licenses available: Arkansas, Colorado, Maine, Minnesota, Oregon, Washington D.C., and as of Tuesday, California. 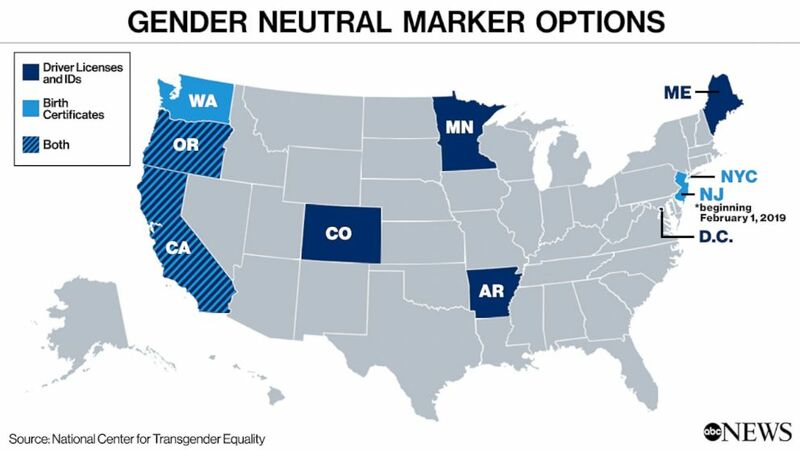 New York City is now the fourth place – after California, Oregon and Washington state – to have a gender-neutral option on birth certificates, and New Jersey is set to join the list on Feb. 1.